There are basically three things you need in the wild: food, water, and shelter from the elements. What you do in between your food, water, and shelter is your own business. For us here at the Well Traveled Mile, we frequently paddle, run, hike, or climb, when we aren’t attending to one of those three necessities. Some would disagree, but for me, food is by far the most enjoyable to attend to in the backcountry. So it’s the one which receives the most attention in my travels and outdoor adventures. As an ex-line cook and kitchen manager, I know what I like and don’t like when it comes to cooking. I know the difference that quality cookware and the right equipment makes. And I’ve used my fair share of set-ups. Nowdays, I cook 95% of my meals on a single burner camp stove and have honed my kitchen down to a calculated collection of the best camp cookware you can find (well you probably couldn’t find it, actually). However, that’s not to say that what has or has not worked for me will yield the same result for you. For example, I rarely use nonstick cookware because I value the durability of stainless steel and titanium, and I have been trained how to cook using those surfaces. However, for many people, nonstick cookware is the only way to go on the trail. And they’re not wrong, it cooks and cleans like magic. All it takes is diligent care for the nonstick coating. Don’t lend that pan to buddy. Buddy will mess it up. 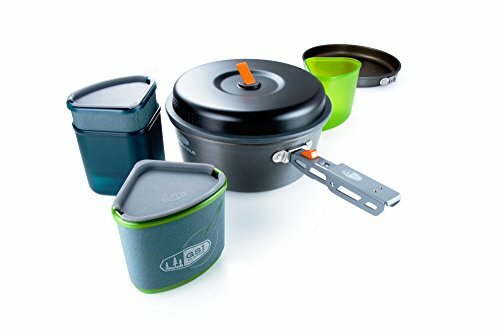 These days, there are so many affordable and high quality options for the best backpacking cookware set, I”ll admit it’s actually hard to choose. Especially if you’re just getting started. So today, we’re going to go through everything that you could ever need to know about modern backpacking cookware. No need to get bogged down in useless details, but we will go into the how and why of where all this cookware came from. We are going to review the best backpacking cookware sets on the market today and examine the pros and cons of each. From single person set-ups to kits for the whole family, there are a lot of innovations out there. However, as we go through it all, it’s really pretty simple. We’ll cover it all in just a couple minutes. By the end, you’ll know exactly what type of backpacking cookware set to get. You’ll know what your options are and why that one is just right for you. Grab your coffee, and let’s do this. 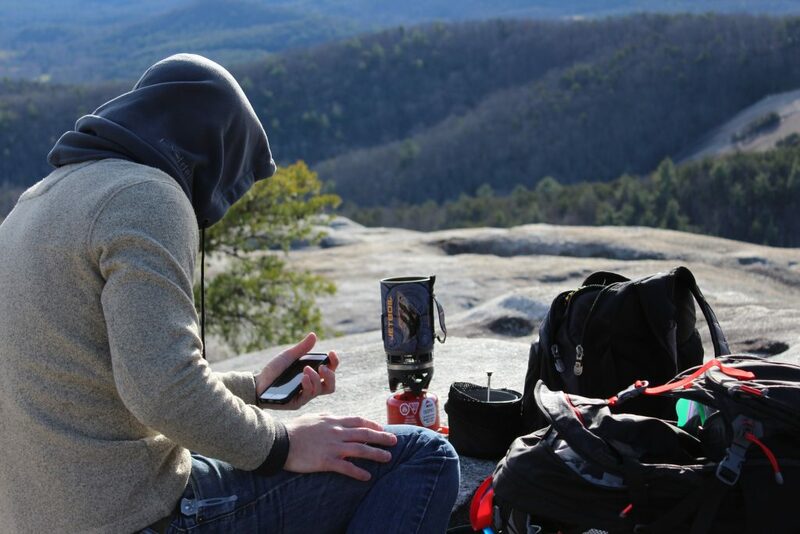 The Bottom Line: What’s the Best Backpacking Cookware Set For You? 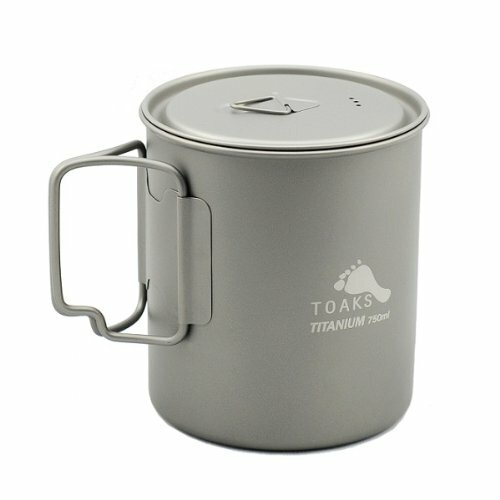 The TOAKS Titanium cookware comes in a wide variety of sizes and shapes. They are all designed to nest together and work in unison. So whether you’re looking to add one piece to a modular cook-set or just looking for the perfect all purpose pot, this is the one for you. Ultra-light, form fitting folding handles and a simple triangular lid handle keep everything light. The handle stays cool, even as the pot heats up. When liquids boil, three small steam holes in the lid keep everything from getting out of control and alert you easily. This pot does not have an overhead hang handle. That means no suspending it over the open fire. However, if you’re interested in this style of cooking, you can purchase a larger size that comes with this feature. After all, this is really a personal cookpot/mug. If you’re looking for a larger vessel to cook group meals in, you’re going to want to size up. Curious just how much it fits? Well this pot is conveniently labeled with imperial and metric gradations. This is the best backpacking cookware set for the solo traveler. It can do your coffee in the mornings and your dinners in the evenings. It’s not too big to fit in or on your pack, but big enough for a big appetite on the trail. The MSR Titan uses simple features to ensure the best cooking experience. From rounded edges on the inside, to a rounded lip up top, you’re ensured easy cleaning and consistent lid fit. The ultralight form-fitting handle design on the Titan is a common feature of the best backpacking cookware set these days. They won’t heat up with your pot and fold closed to hug the walls when you’re done cooking. The top handle on the Titan’s lid is coated in a heat resistant rubber coating. It adds a minuscule amount of weight and a great deal of protection. That way you can pull your lid off a boiling kettle without fear of burning your precious little fingers. This pot features a low profile pour spout to make liquids easy to manage without breaking the smooth, round profile of this pot in your pack. Speaking of packing, the Titan is designed to fit a fuel bottle or MSR mug inside. As with every best backpacking cookware set, MSR knew that this pot had to fit perfectly with it’s partners to save space on the trail. The only downside to this kettle is the spout. Although it’s a great feature, it prevents the lid from creating a complete seal. That means you can’t pack leftover soup into your bag and take it on the trail. If you’ve never done such a thing, you won’t even realize you’re missing out. However, if you are regularly packing around leftover liquids, this is not the best backpacking cookware set for you. Vargo thinks that backpackers are wasting weight and space by carrying two separate containers for water and cooking. And hey, they’re not wrong. The more items you can combine to serve the same purposes with less gear, the better. This is especially true if you’re solo hiking because you are personally responsible for all your cookware. 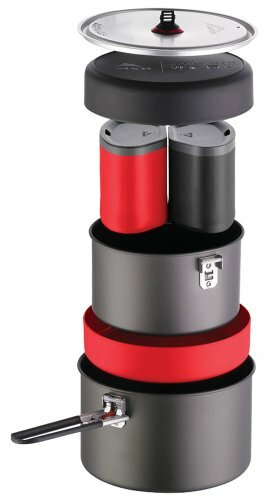 The Vargo Bot 700 gets it’s name from its intended functions as a water bottle and pot (bot). The lid is designed to be watertight one way, and when flipped, function as a cooking lid. The O-ring that helps keep a perfect seal is also heat resistant so that cooking doesn’t throw off your mojo. The handles on the Bot, like the best backpacking cookware set, fold away and fit to the form of the pot, so it’s easy to fit this thing in your pack. It’s even gradated. This piece really checks all the boxes. However, it’s not for everyone. After all, it takes a certain type of person to drink water out of the cookpot that was just full of bacon and eggs an hour before. 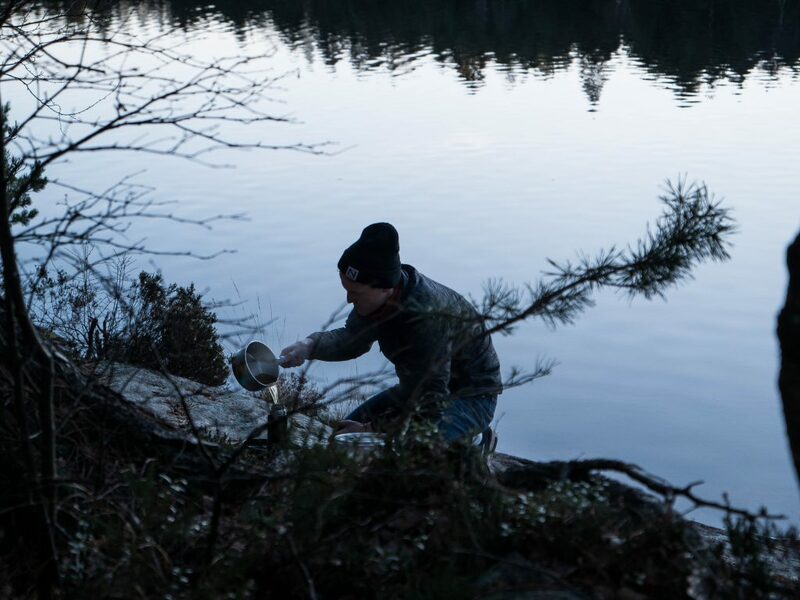 Let’s be honest, it’s not always easy to get your cookpot perfectly clean in the woods. This idea works great for minimalist camping or for people who don’t care about a bit of food in their water. Just be sure that you’re into all of the implications of combining these two essential parts of your backpacking cook kit. If you’re into non-stick cookware, this might be the best backpacking cookware set for you. It’s got a 0.95 liter cook pot with a heat exchange coil that speeds up cook times by at least 20%. The fry pan fits intentionally as the perfect lid to the companion pot. This is great not just for faster boil times, but it also makes a great bowl or cup when your done cooking in the primary pot. All the handles in this set are coated in a heat resistant rubber to keep your hands safe. They all fold away into perfect form-fitting shape and fit snugly together. You can fit a fuel canister, stove and utensils inside once everything is all tucked away. The main cook pot also features a small pour spout to keep liquids easily under control. This may be the best backpacking cookware set for under $40. Even considering their low price, these pots are surprisingly sturdy. The locking mechanisms on the handles are reliable. No need to worry about spilling hot liquids on yourself. Although titanium is a bit lighter, the non-stick coating on this cook kit is a big draw for some. One of the downsides to this cook set is that the heat exchange coil quickly collects soot when cooking over wood fire or kerosene. Good luck cleaning it. The Primus Trek Kettle is designed, much like any best backpacking cookware set, to fit together snugly and hold a fuel canister inside. This pot is made from anodized aluminum and has a double non-stick coating. That means that even through years of heavy camping use, you can still wipe this pan out, no problem. Non stick coatings are great in the kitchen, but they’re even better on the trail, where doing the dishes can be a big hassle. The coating on this kettle is even tougher than most, but you still shouldn’t use metal utensils on it. The frying pan fits over top of the main cook pot to form a lid when boiling or cooking. All of the fold away handles are coated in heat-resistant rubber. The handles are also sturdy, when opened and closed. It’s great to be able to fit you fuel canister inside of your cookpot. Just be careful not to jostle it around too much, or else use a cloth around the canister to protect your non-stick coating. If you aren’t storing a fuel canister inside your cook set, you can keep things like utensils, wash cloths, and spices inside your pot. 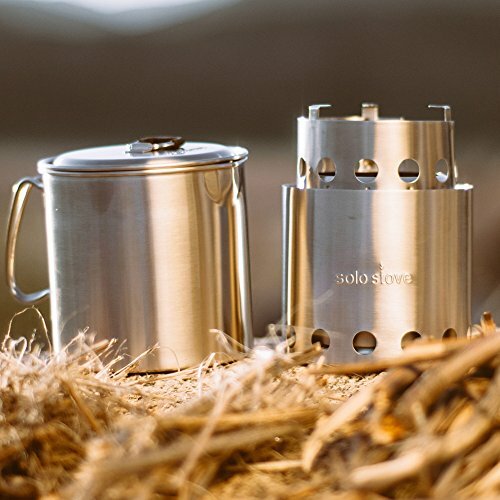 This may be the best backpacking cookware set made from titanium on the market today. It’s lightweight, durable, and easy to use. Everything fits together snugly and packs away as one item. 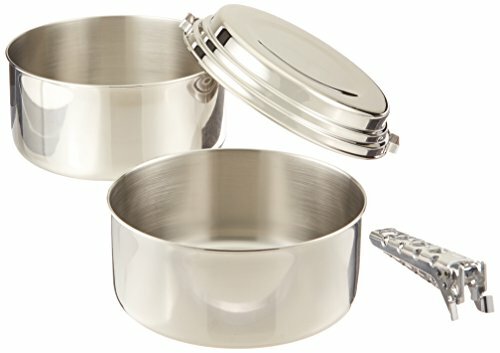 You can fit your fuel canister inside this cookware set. If you own a TOAKS wood stove, you can fit that inside instead of a fuel canister. Or, slip this pot and pan set inside of another, larger set from TOAKS. That way, you can cook a feast for the whole family on the trail. This is definitely the way to travel. You can gather your fuel from the forest each day and your entire kitchen fits snugly inside of your cookware set. As with other comparable camping cookware sets, this one has fold away handles coated in heat resistant rubber. 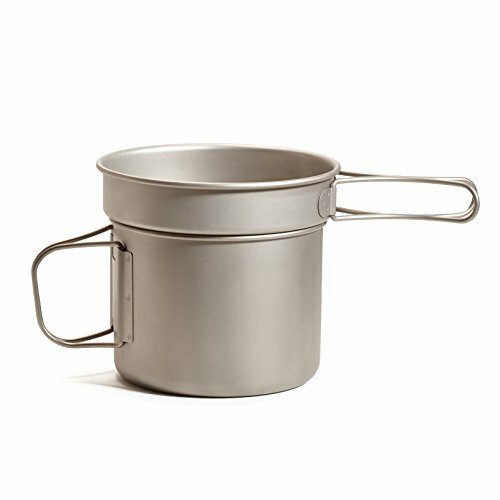 The Alpine 2-pot stainless steel set from MSR is a strong set of large pots that can take years of heavy use. Because they are made with stainless steel, they are more durable than many cookware sets. However, they are also heavier. That’s no problem for most backpackers. But if fast and light is your thing, then these might not be right for you. This is more likely to be the best backpacking cookware set for a couple with a big appetite or someone who is regularly cooking for small groups. There’s no nonstick coating for your friend to mess up accidentally with the steel wool after dinner. However, that also means that you’re not going to be flipping any eggs in these pans. 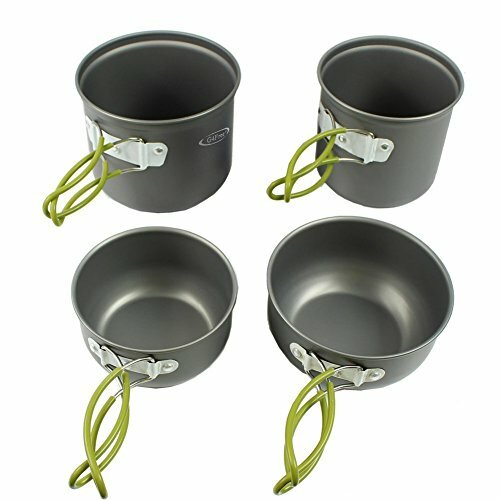 Another key difference between these pots and other backpacking cookware sets is the handle. 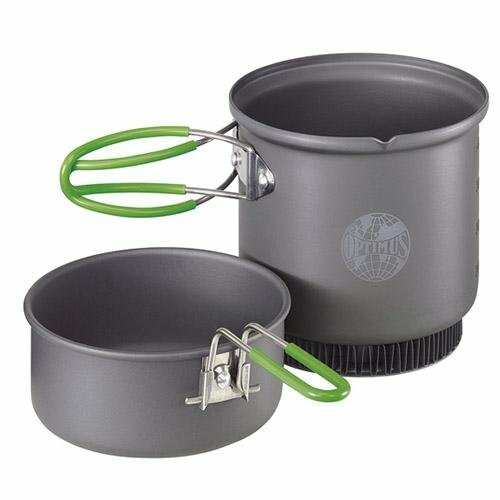 Rather than fold away handles featured by many lightweight backpacking cookware sets, the MSR Alpine pots use a detachable handle that works like a steel clamp. It works really well and won’t heat up because you simply take it off the pot when you’re cooking. The Vargo Titanium Ti-Boiler is an ultralight cookware set to compete with the best of them. It’s designed specially so that the fry-pan fits perfectly on top of the cook pot for double the cooking action. However, it does not screw on like the Vargo Bot’s lid. Both of these pans work great on their own. Together, they don’t work like a professional double boiler, but you can certainly use this design to great advantage on a single burner. The handles fold away for easy packing and because they’re made from the same titanium as the rest of the kit, they won’t heat up and burn your hands when you’re cooking. 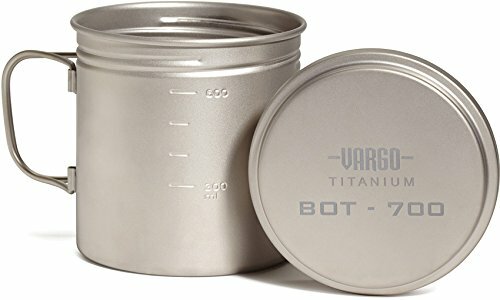 Speaking of titanium cookware, Vargo used titanium on purpose, to make this the best backpacking cookware kit for lightweight chefs. If you’re not a fan of nonstick coatings or the weight of stainless steel, you have to try titanium. The MSR Quick 2 System is a real technological marvel. It repeatedly earns top reviews. Once you hold your own set, you’ll immediately see why. Everything nestles perfectly together to pack into a surprisingly small package. It’s small enough to fit in the bottom of your pack and take on the trail, and that’s saying something. Even better, this kit features two different cooking surfaces, one nonstick, the other non-coated. That’s really useful when you’re cooking up a wide variety of meals in the woods. Throw your eggs in the nonstick and cook soup in the other. As far as we’re concerned, that makes this the best backpacking cookware kit for groups or anyone who takes their cooking seriously. Not just cooking, but eating is elevated with this kit as well. The two plates are perfectly designed with high walls. They make good bowls too. The two insulated mugs are perfect for morning coffee or hot soup. Even the strainer lid fits exactly right and is easy to hold, both by the edges as well as the heat proof top tab. Really, with this cookware kit, the only problem is there are so many good things packed in that you can’t put a fuel can inside of it unless you leave a couple pieces at home. But no one’s stopping you. The Winterial 10 piece camping cookware set is a great option if you’re on a budget. 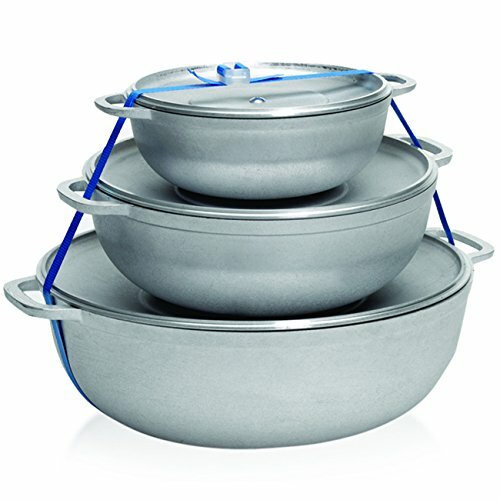 These pots cook well, are lightweight, and well designed to fit together easily. The set even comes with a small ladle, two tiny bowls, and a sponge for after you’re done. In my opinion these parts are a little unnecessary, but they work well in a pinch. The tea kettle is really nice for boiling water. It’s easy to leave at home if you’re trying to cut weight, but convenient if you’re camping from your car. All made from aluminum with a Teflon nonstick coating, these pans aren’t the sturdiest, but they are lightweight and inexpensive. They won’t last forever, or at least, their nonstick coating won’t. However, for the price, that’s no big deal. Even with all these pieces, the whole set still weighs only 1.5 pounds. If you pick up one of these sets, just take care with the nonstick coatings and you’ll be happy for seasons to come. It may be the best backpacking cookware set for the budget backpacking family. Two great pans and two perfect pots. This is the best camping cookware set for the camp chef. Titanium is the reason why so much cooking surface can weigh so little. At under twelve ounces, this set weighs less than some single pot sets. The design is elegantly simple, all with the purpose of cutting weight. Thin fold away handles are the only features on these pots and pans. Each piece fits together, although not terribly snugly, and you can store other kitchen supplies inside the kit. No nonstick coatings to worry about, but you may have to scrub a bit to get them clean. This kit certainly isn’t the best overall when compared to kits like the MSR Quick 2 System because it’s not designed to do it all. It’s just designed to do it all without weighing a pound, literally. This is the best backpacking cookware kit for the ultralight travelers and thru hikers. This is the best backpacking cookware set for backcountry gourmet chefs. The nonstick frying pan can flip eggs in the morning and the insulated mugs are great for coffee. If you’re all about boil times, the two liter pot in this kit boils faster than most others and the lid is really well made. It rests perfectly on the pot and has steam holes for straining. 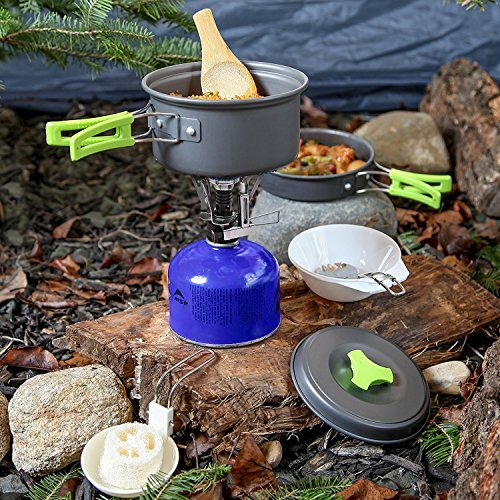 Like most complete backpacking cookware kits, the Pinnacle is designed with pairs in mind. A mug and bowl for each, color coded, with gradations. This kit is definitely more than you need if you’re the type to do oatmeal and ramen for most meals. But if you like to get gourmet while you’re on the trail, this set is perfect. Especially if your plus one feels the same way. Just take care with the nonstick coatings in this kit. Although they work great out of the box, they are not the highest quality and will wear out over time. This kit is insanely cheap and really lightweight. It’s a budget backpacker’s dream. Lightweight anodized aluminum keeps the whole kit at under a pound, even with the included cookware. That’s right, you’ll get two bowls, a ladle, an extendable spork, and a sponge in this kit. That’s in addition to the pot, fry pan, lid and stuff-sack. The Mallome ten piece camp cookware is kitted out with nonstick coating to keep cooking easy. As you might imagine, it’s not the highest quality coating on the market, so you do have to take care with it. That’s why it’s especially nice that they included the wooden spatula for gentle cooking control. If you leave out a bunch of the extra components, you can fit a small stove or fuel canister inside this kit as well. This kit isn’t the most expensive, or the most durable, or the most cookable, but it is one of the smallest and most compact. It all fits together into a smaller package than other ten piece sets and weighs less than a pound. Even better, you can usually find it for under twenty bucks, which makes it the best camp cookware set for the money. Unlike a lot of other complete cooksets that include gadgets and utensils, this set focuses all of it’s weight on cookware. Four cook pots of graduating sizes allows you to really get your cook on in the back country. They are lightweight, anodized aluminum with a nonstick coating. However, the nonstick coating on these is nothing to write home about. This kit comes without lids or other extras, so covering your cooking is up to your other pots. They also take considerably longer to boil water than some of the best cookware kits. The handles on these pots are good enough, but they are coated in a low quality silicone which is easily melted. It’s not a serious problem, but it certainly doesn’t speak of the highest quality or best backpacking cookware set. However, that’s what you expect when you get four backpacking cookpots for this cheap. When it comes to backpacking cookware, this is the number one question that you need to consider. Cooking on the trail is hugely dependent on how you will be carrying your kitchen. I mean, I’ve seen some pretty elaborate culinary setups inside the vans of traveling dirtbags. When car camping, the sky really is almost the only limit to what you can cook. If you’re traveling by trail though, be that hiking, pedaling, or otherwise, camp cookware suddenly needs to be far more compact and lightweight. For any human-powered pursuit in the backcountry, every bit of space and weight counts. 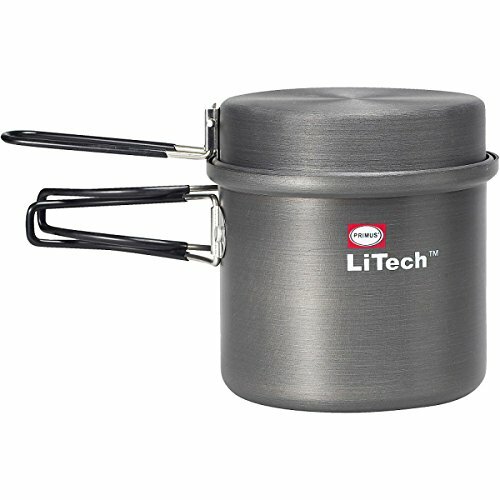 That’s why the best backpacking cookware set these days all packs inside of a single pot. Often, designs are minimal so that you can fit things like your stove and fuel canister inside. 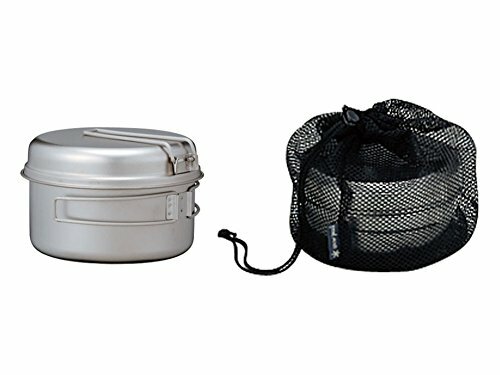 The further you plan to go from your car, the lighter your camp cookware set should be. If you are spending more than a couple days in the wild at a time, fast cooktime is also important. That’s because you’ll save a lot of fuel if your pots conduct heat more quickly. If you have four kids, a dog, two cats, and a pet bird rolling around in that RV, you’re going to need a lot of camp cookware. There’s no camp cookware set on this planet big enough for that family. However, even a family of four needs a very different set of cookware then a couple or single traveler. So who do you normally cook for? Do you go camping with your friends normally? If so, you’re probably all combining forces and cookware to assemble dinner each night? Are you usually out with your boyfriend camping and need a setup for two? Or are you usually solo or in groups where you’re responsible for feeding yourself? Usually, it is best to get a single pot set like the Titan Kettle from MSR or the Vargo BOT if you’re a single camper. No need for a bunch of extra pots and pans. If you’re shopping for a couple, then most prefer a pot and pan set like the Toaks Titanium, or the Primus LiTech TREK kettle. For groups or families of three or more, you’ll need to start thinking bigger. With more than two people, it becomes difficult to eat straight out of the pan. You’re going to need plates, bowls, cutlery, some sort of mugs or bottles for liquids. Especially when you travel with kids, you’ve got to make sure they stay well fed. 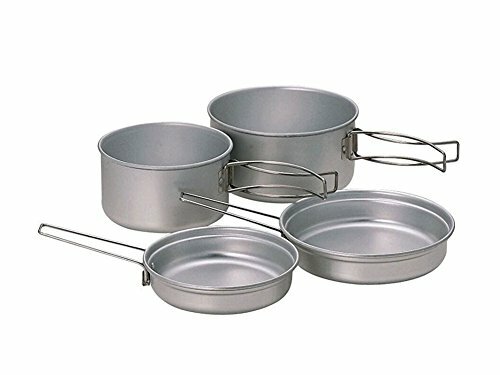 If you’re traveling in a group of three experienced backpackers, you can certainly get away with less than the best camp cookware set. However, as soon as you hit four or more people, you camp kitchen is going to need a bit of a level up. The whole point of making camp cookware lightweight and easy to pack is that no matter how you go camping, space is limited. Even if you’re driving right into the campground, you still don’t want to pack your whole home kitchen into the car. 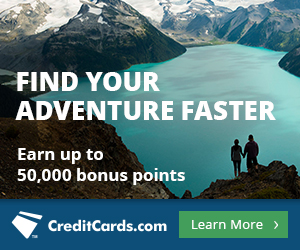 If you’re hiking into the mountains or across long distances, forget it. Lightweight camping cookware isn’t just a convenience on the trail, it’s a necessity. That’s why it’s so important that you spend the extra thirty bucks and get a real camp cookware setup. Don’t go to the goodwill and just look for the cheapest, lightest pot you can find. Lightweight cookware isn’t just nice in your pack, it’s also great to cook with. No heavy cast irons to try to control over the fire. No need to use two hands to pass around the pot of breakfast in the morning. Sure, you’re probably plenty strong, no one said you weren’t. I’m just saying that it’s nice to keep it light. Besides, your camp stove is probably pretty small, I’m sure it’s not complaining about the lighter load either. There are a number of materials used in camp cookware sets these days. Some have been around for a long time and others represent more modern innovations. All of the materials still used to make camp cookware today work well. Each also has it’s own pros and cons. 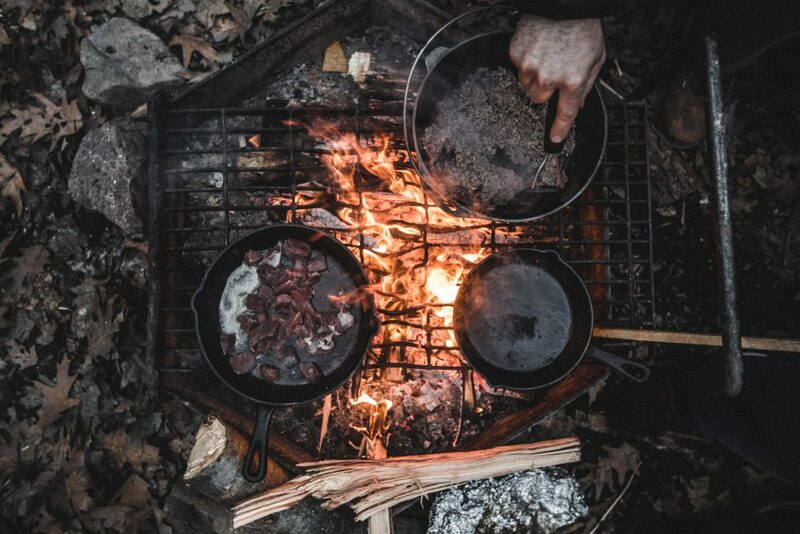 Depending on what type of cooking you prefer, and what is most important to you about your camp cookware, you’ll be most attracted to a certain material over the others. 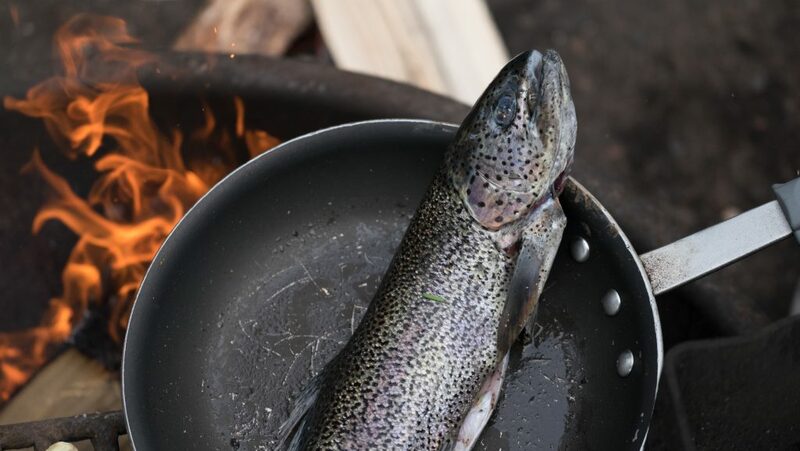 Here we’ll go over the four most common materials used in camp cookware, as well as the two types of coatings you might find on some sets. There are other options out there, but I’d recommend you stick with these. Hard anodized aluminum is the only type of aluminum your cookware should be made from. It is a specially treated type of aluminum that is made to be harder, more durable, and with a smooth, non-stick coating. Anodized aluminum is by far the most common type of cookware on the shelves today. It is lightweight, easy to use and clean, and affordable to manufacture. Perfectly good anodized aluminum cookware sets can be purchased for as little as twenty bucks. Not only that, but anodized aluminum has also shown to be less toxic than regular aluminum. Wait, wait, wait…Toxic? Yeah, you heard me right. Aluminum cookware has been shown to leak metals into your food at levels high enough to be a health risk. Aluminum is cheap and lightweight, which once made it the first choice for lightweight camp cookware. Although once a common material for all sorts of cookware, aluminum has been nearly eclipsed by it’s new counterpart. That’s a good thing, too. If you’re still cooking on regular aluminum cookware, it’s time you threw it away and got yourself a real set. Your body will thank you, and so will your backpack. If you’re really ready to level up to the peak of backpacking performance, enter titanium. This is the material so perfect for backpacking cookware, that it’s hard to believe it’s real. Lighter than aluminum, harder than steel, and with no risk of toxic chemicals leaching into your food, titanium cookware is what most people settle on when they search for the best backpacking cookware set. Titanium cookware is usually designed to be minimal and lightweight. The handles are usually a thin, fold away style that naturally remains cool enough to the touch. If you’re a fast and light backpacker who needs real performance, then titanium is what you’re looking for. Stainless steel is definitely a bit out of date, but that’s not to say it doesn’t still work great. Although once very popular, now most companies have switched over to making camp cookware from anodized aluminum or titanium. That’s because stainless steel is just a bit heavier and considerably harder to clean out. However, good, lightweight stainless steel can still be found. MSR is definitely the biggest name producing steel cookware these days. If you’re really lucky, you may even be able to score a set at the local thrift shop. Just make sure you have a handle, because most stainless steel backpacking cookware is designed with a removable, multipurpose handle. A lot of cookware these days features some sort of nonstick coating. And although what’s newer is not always better, nonstick has certainly revolutionized the culinary industry, from restaurant kitchens all the way down to your little camp stove. Now, lot’s of people think that there’s no need for fancy things like nonstick coatings in the woods. You’re not out here to cook gourmet meals or bring your nicest tools, you’re roughing it! However, nonstick has far more practical value in the woods then you may have thought. Cleanup, after all, is half the work of preparing food. And there’s really no comparing the cleanup of nonstick cooking to that of stainless steel. Seriously, you can use the facewipe you just used on your face to do all of your dishes if you want. You won’t even need a sponge to scrub your pan. Not all nonstick was created equal, though. Both ceramic and Teflon coatings are used to create nonstick coatings even better than that naturally formed on anodized aluminum. There are two primary differences between these types of coatings. Teflon is considered to be more durable, lighter weight, and more reliable. It has been around for longer, and is certainly more common on camping cookware. However, it also has serious health risks if overheated. If raised above 500 degrees Fahrenheit, Teflon releases toxic fumes. Even at lower temperatures, it may give off enough gas to be harmful to animals in the long term. If you cook at normal temperatures and never blast a dry pan, you’ll be ok. However, ceramic is a safe alternative that does not release any toxins and at worst, could break if subjected to extreme heating and cooling. Unless you run cold water over a blazing hot pan though, you should be fine. So why isn’t ceramic the norm for camp cookware and for nonstick cooking in general? Well, it’s newer, and still isn’t really as durable as most Teflon coatings. Furthermore, it’s a little bit heavier and when applied in thicker coatings (for added durability) it is not practical for camp cookware. Although it has grown in popularity among household cooks, it still may be a couple years before the technology takes off with camp chefs. What’s really astonishing to realize about modern camp cookware sets, is that they weigh next to nothing. Every single set in this review weighs under two pounds with many weighing in at under one pound. That’s crazy when you consider the fact that many of these sets hold two to four pans, cups, bowls, cutlery, mugs, I mean, come on! The best backpacking cookware set is pretty hard to believe. If you’re traveling for serious distance or in serious places, then weight will always be a factor. However, for the average camper or backpacker, all of these sets are so light that you’ll hardly even notice them in your pack. Don’t worry too much about the weight and focus on getting the best backpacking cookware set to meet your needs. The volume of your camp cookware is far more important than it’s weight for most people. That means it’s cooking volume, as well as it’s storage capacity once everything is all packed away. 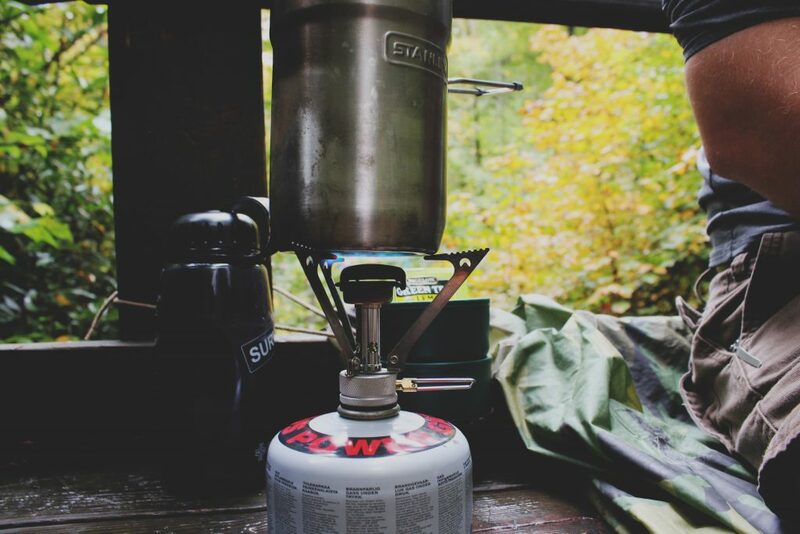 There’s really nothing better than being able to tuck your stove, fuel canister, utensils, and sponge all inside of your pot and pan. Having your whole kitchen sealed into one lightweight and convenient package makes cooking ridiculously convenient on the trail. When considering the storage capacity of your kit, you’ll need to think about the size of your stove, your fuel canister, or any other items you may wish to pack inside of your kit. I’ve known backpackers who, rather than packing their stove and fuel inside of their cookware, packed their coffee kit inside. That’s because they were cooking mostly over fires and carried no stove, but valued their coffee as the next most important item in their pack. After all, they used it nearly every time they used their cookware. As for the cooking volume of your cookware, well it depends on how much you like to eat. Personally, I like to cook in pots that are at least one liter. That way I can cook for two or three people, or when I’m staying in one place, I can keep leftovers in the pot for later. For solo travel, anything under 24 fluid ounces is getting a little small. The Vargo BOT is pretty much the smallest capacity I would take on the trail. For larger groups, well, there’s really no limit to how much food you might want to make in the woods. Just make sure you eat it all. 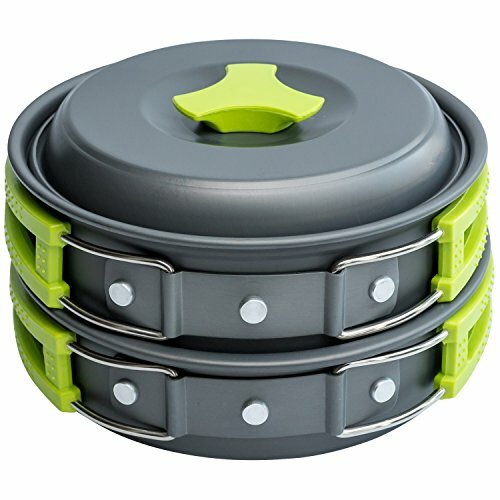 One thing that is basically industry standard by now is stackable, packable camp cookware that all fits into the biggest pot in the kit. This is the greatest innovative trend in camp cookware and you can hardly find a set that doesn’t follow this model. Each company has it’s own designs and every set fits together a little differently, but all of them are designed to stack up like a set of Russian dolls. When it comes to packing up my camp cookware, I tend to keep it near the middle of my bag. Usually it’s one of my most accessible items, on top of my clothes and sleeping equipment. That’s because I like to eat. Think about where you like to pack your camp cookware into your bag and consider how much space it has to fit. It can even be useful to take your backpack, camp stove and fuel canister into your local outdoors store. Ask if they will let you pack it into your bag, set it ontop of your stove, and even pack your stove and fuel can inside of it before you buy it. That way, you can test to make sure that everything fits just right. When it comes to perfect packing, little details make a big difference. All camp cookware by it’s nature has to sacrifice some durability in exchange for lighter weight. It’s just the nature of the industry. And although your camp cookware won’t be bombproof like cast iron, there’s some pretty tough stuff on the market these days. That being said, there is also some pretty flimsy garbage out there. Knowing the difference between the two is critical to finding the best backpacking cookware set. If you’re looking for the most durable camp cookware you can find, then definitely check out either stainless steel or titanium. Both are virtually indestructible and resistant to heavy abrasion. And, I hate to be a downer on stainless steel, but titanium is undoubtedly stronger and lighter weight. If you’re buying anodized aluminum camp cookware, then you’re going to have to do a little more research to be sure you’re not buying a cheap set. That’s because aluminum cookware comes in both quality, and sub par sets. If you’re looking for signs that you’re holding a high quality kit, then research the brand, use the handles in a couple ways, and see if they feel flimsy overall. Usually, cheap aluminum cookware will feel a little off. Lids and spouts are both common features on cam cook pots, however, they are at odds. Pots and kettles that feature spouts usually do not have lids that create watertight, or airtight seals. That’s because the lip of the pot is not round. Personally, I’ll take a solid lid over a pour spout any day. 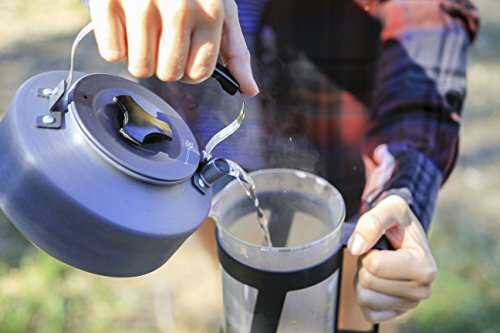 However, for people that more often make soup, coffee, or tea in their camp kettle, a spout is a great feature. When it comes to lids, most have built in steam holes to both vent pressure and alert you when the contents boils. An easy to use, heat resistant handle and a tight seal are also essential features. Personally, I like a lid that fits well enough to reliably carry leftovers in the car. That doesn’t mean the lid needs to fix to the pot, but I certainly look for one that rests comfortably in place while driving on a dirt road. Many camp cook pots don’t feature a lid, and instead pair with a frying pan designed to nest with the top of the pot to serve as lid. 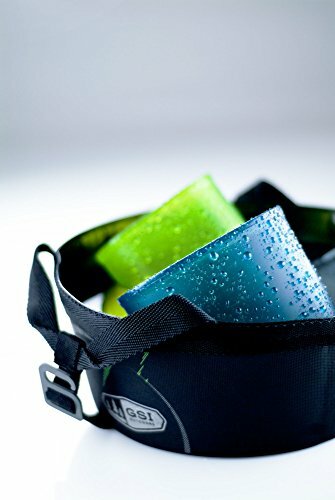 This is a great design in most cases as it helps save weight and space in the pack. However, it can be annoying when you want to cook with your frying pan, but also need a rice to make something like rice or to boil water more quickly. Usually, modern backpacking cookware is designed with lightweight, fold away handles that are either heat resistant or coated in a heat resistant material. Generally speaking, when they are well designed and of sturdy build, these handles work great and are very reliable. Best of all, they pack away easily and don’t come off at risk of being lost. Pot grabbers, or detachable handles are most commonly featured on stainless steel cookware and is an iconic part of MSR’s line of stainless steel camp cookware. These handles work like a clamp that attaches to the rim of each of your pots and pans. One of the nice things about these pot handles is that they are multi purpose. You can use it to stabilize your pasta while you stir, and then switch it to your pasta sauce as you take it off the heat. The biggest downside, other than it’s extra size and weight, is that removable pot handles can get lost. If you’re the type for whom that may be a problem, it’s probably better to stick with fold away handles that you can’t set down somewhere in the dark. I’ve already brought it up. Easy cleanup in the backcountry is extremely important. Scrubbing your cookware takes precious time, water, and ware on your pots and pans. The best backpacking cookware set cleans out easily and efficiently with a single paper towel, a bit of water, or the heel of a loaf of bread. Idealy, you hardly need to clean anything at all. That means less wasted food, less wasted time, and better treatment of your cooking surface. In the long run, less scrubbing means a longer lifespan too. If you’re going for camp cookware made from titanium or steel, be sure to take good care of it from the start. If you keep the surface smooth and clean by not using overly abrasive sponges, your pans won’t gather cooked on food and stains. However, heavy use will leave scratches in the surface of even the hardest of metals. Eventually that will make it incredibly hard to clean your pans well. 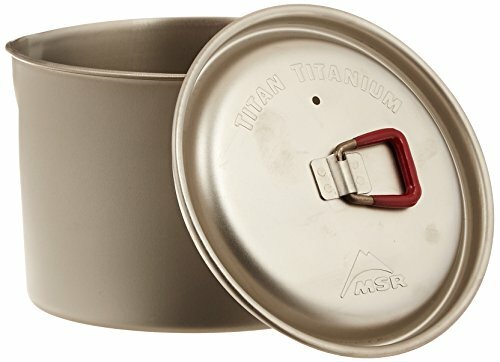 That’s one more reason why titanium makes such a great material for backpacking cookware. Because it is so hard, it is resistant to scratches and wear. That means your cooking surface will stay smooth for longer and not provide so many little nooks and crannies for food to burn into. When it comes to the overall value of a product, most people are looking for a really simple answer. Yes, or no? This is the ultimate question, the whole enchilada, what backpacking cookware set is the best value? Unfortunately, the answer is not nearly as simple as the question. The value of each camp cookware set will depend on you. Mostly, on your budget, your preferences, and your intended use for it. When you consider all of these factors together, you can start to get a sense for what set will offer the best value. When it comes to value, I always tell people to consider their options in specific order. Don’t worry about the price until the end, there are more important factors when it comes to camp cookware. First, consider how many people you’re going to be regularly cooking for. Second, think about what features you like the most. 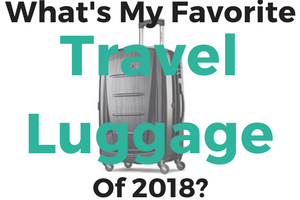 What seems most useful for your lifestyle and typical form of travel? Third, think about how durable your favorite camp cookware set is. Will it last for five years or fifty years? Lastly, now that you’ve honed in on a couple of options that fit your lifestyle, think about the price. In general, if you’re split between the cheap and less durable or the extra money for a better set, pay the money. 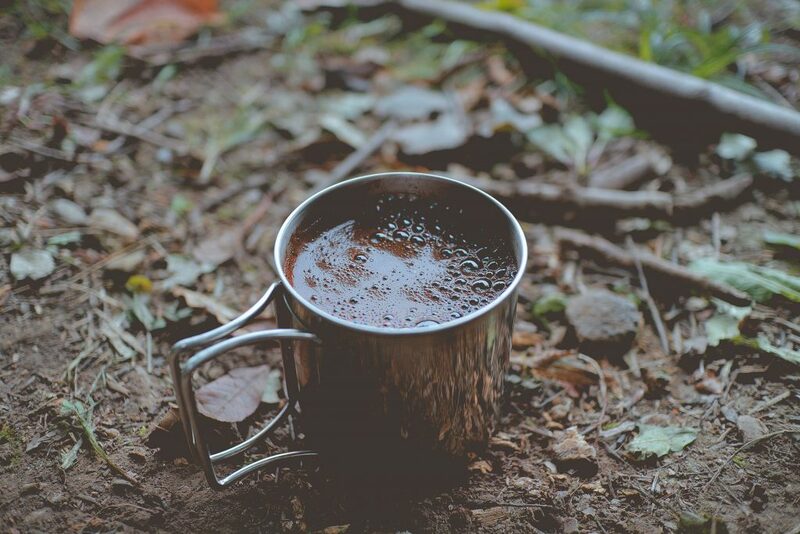 Camp cookware is something that will be integral to the time you spend outdoors. If you get a lousy set, you might be in for a lousy time. 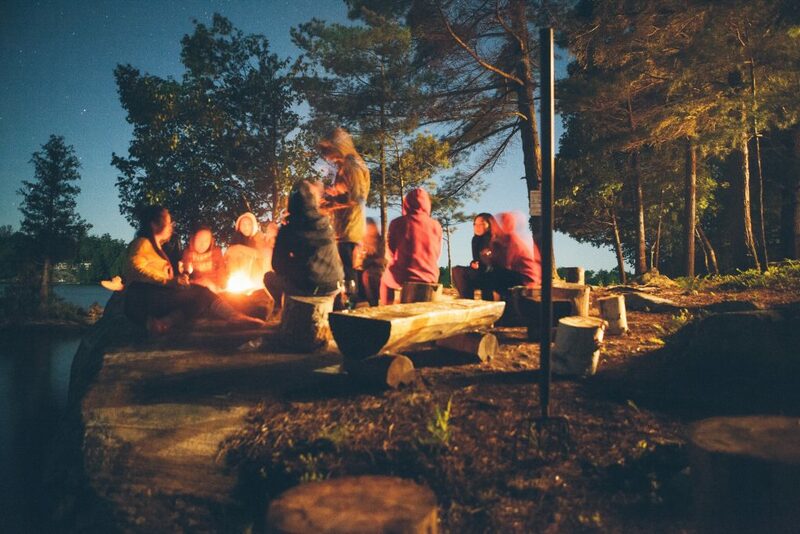 Taking care of your camp cookware is all about keeping your cooking surface smooth and clean. Different materials of different strengths will resist wear in their own ways. Steel can stand up to an awful lot more than anodized aluminum. However, no cooking surface is invulnerable. Taking good care of your new backpacking cookware can at least double its useful lifespan. No matter what material your camp cookware is made from, you should never be scraping at it with steel wool or even green scrub pads. No green scrub pads? Yeah, that’s right. They’re actually more abrasive than steel wool and will leave teeny little scratches in the surface of just about anything. Why are we so concerned about teeny little scratches? It’s because the more grooves, creases, and spaces for food to get stuck and burn onto your cooking surface, the harder it will be to clean. Not to mention that cooking will become less and less fun. The more difficult your pan is to clean, the more you have to scrub it, and so on. It’s a vicious cycle, really. If you want to avoid it all together, the trick is to take good care of your camp cookware right from the start. Here’s how. Use mild soaps. Ideally a type that is also eco-friendly, since you’re likely to be washing up in the woods regularly. Use a soft bristled brush, a sponge, or a rag when you scrub your cookware. Rub gently in small circles. If you find yourself having to do any more than a quick scrub, then it’s time to back up a bit. The best way to clean and care for camp cookware is to keep it clean as you go. That means that you are careful not to burn food onto your pans. You use wooden or synthetic and heat resistant utensils, so you don’t scratch your pans. When you are done cooking, you clean your pans immediately, or fill them with water to let them soak. Boiling a bit of water in the bottom of your pan is a great way to clean up after messy cooking. Another great way to keep your kit clean is to get your hands on a mini spatula. They are sold in a lot of camping aisles these days. These little gadgets help you scrape every bit of food off of your pans before you start cleaning them. That way, you don’t waste water washing away food that you could have scraped. Lastly, you are careful when you store your cookware, whether it is in your pack for the day, or in your closet for the winter. 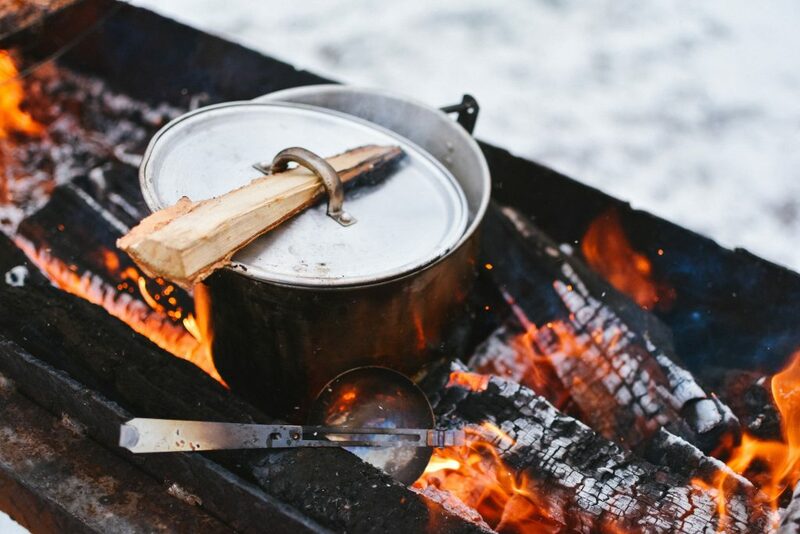 Some of the greatest damage to camp cookware can actually happen when it’s not in use. Be sure to pack your kit up properly and carefully every time you’re done using it to ensure that everything stays the way it should be. Well, by now you’ve probably answered that question for yourself. By now, you know all about the materials used to make the best backpacking cookware set. You also know which ones are lightest, the most durable, and the most affordable. By reading the reviews of the top rated products on the market today, you have an understanding of the most outstanding options. So you’ve had a chance to weigh your options and consider the best backpacking cookware set to match your needs. At this point, you’ve probably even picked up a few pointers about how to care for and effectively use camp cookware. 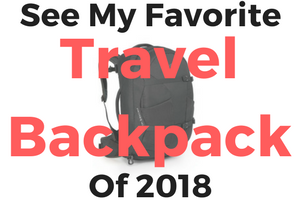 But if you still are on the fence between two options, or unsure of how much money you should spend on the best backpacking cookware set for you, then let’s get down to business. 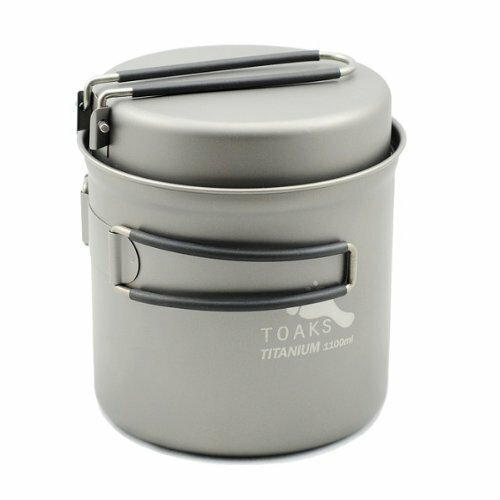 For a one pot cookware system, look no further than the TOAKS 750ml titanium or MSR Titan. For a multiple piece cookware set that will give you the option to handle to cooking for larger groups, consider the MSR Quick 2 System. 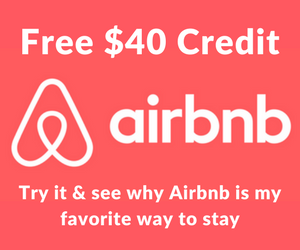 It’s tried and true and has long been receiving great reviews from backpackers and campers alike. 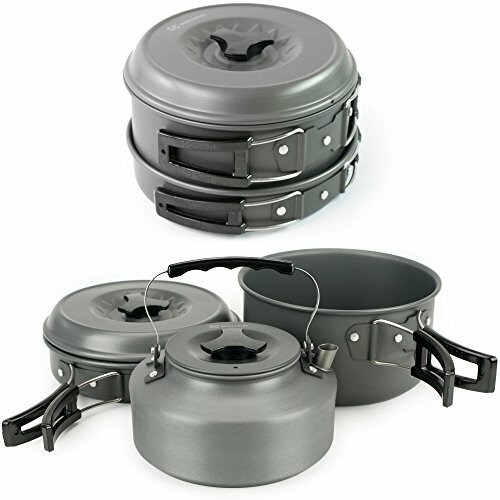 If you can’t decide which camp cookware set to get, then get the TOAKS Titanium 1100ml pot and pan combo. This is the overall, best backpacking cookware set for a first time buyer. It’s affordable, extremely high quality, and probably lighter than your wallet. Because it comes with a pot and pan, you can play around with two types of cooking. And because it’s made with high quality components and pure titanium, it will last forever. Seriously, this pan might be cooking your grand kid’s eggs someday. 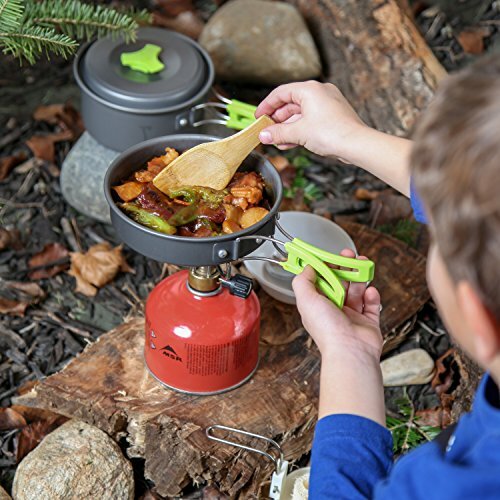 Whatever camp cookware set you decide to get, just be sure to take good care of it, and enjoy the delicious food you cook with it. After all, we are what we eat. At least now, that’s easy to take care of. You can also read our guides to the top backpacking watches, how to choose the right hiking pants and recommended backpacking tents.